Updated — Chad Stahelski is set to direct "The Continental" pilot, a "John Wick" prequel series focused on the "magical, mythical" world of the assassins' hotel. 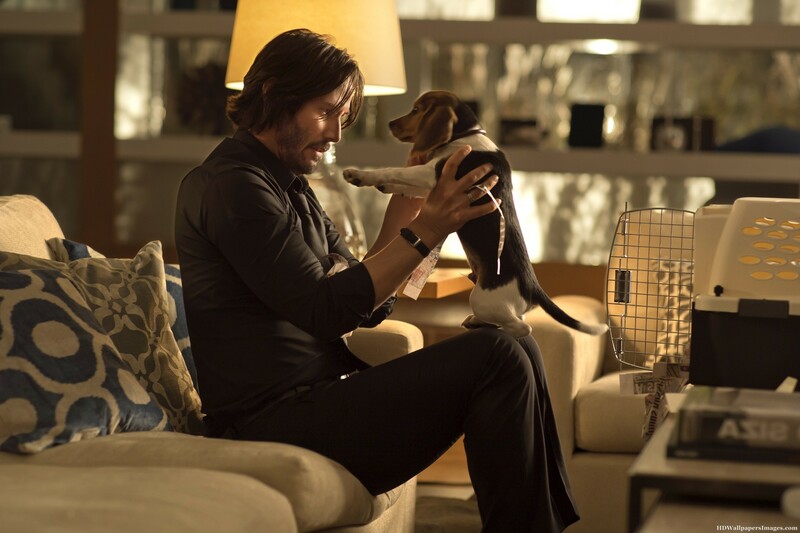 Update: On Friday, January 12, Starz announced it was moving forward with a “John Wick” TV show titled, “The Continental.” Chad Stahelski, who directed both “John Wick” films, will helm the premiere episode and produce the series along with “John Wick” screenwriter Derek Kolstad, “John Wick” co-director David Leitch, and star Keanu Reeves. Speaking at the Starz TCA panel, the network’s president of programming Carmi Zlotnik said Keanu Reeves is expected to appear in the series, as IndieWire previously reported. For more from IndieWire’s initial report, see below. Prior to the box office boom of “John Wick: Chapter 2,” the film’s director and franchise mastermind Chad Stahelski said he and screenwriting partner Derek Kolstad had plans for a TV series. Those plans are still in motion, with the project in development at Lionsgate and a new title assigned to the prequel. IndieWire has learned that the series is being developed under the name, “The Continental,” and Lionsgate is “very excited” about the series. In a separate interview, Stahelski said the focus was expected to be the “cool, Wick-ian, magical, and mysterious world” of the titular hotel. “John Wick: Chapter 2” was the first to delve into the worldwide reach of The Continental, a hotel chain that serves as a respite for assassins and an access point for resources specific to the job. No “business” is allowed on hotel grounds, and Wick (Keanu Reeves) faces repercussions for violating that rule heading into the upcoming third film. That being said, plans for the series include incorporating Wick into the story — and putting Reeves on-screen. Lionsgate could not confirm Reeves’ role in the series at this time, nor say who is writing the show — Stahelski said he’s “a really good showrunner” — but the director wants to stay as involved as time allows, given that he’s directing the third “John Wick” as well as pursuing other feature film projects. Stahelski and Reeves’ busy schedule also contributed to their other TV project — “Rain,” the limited series based on Barry Eisler’s novel — being put on the back-burner. “I think ‘Rain’ is kind of on hold right now,” Stahelski said. “It deals with Keanu’s schedule. He’s a busy guy, and he’s in love with the ‘Wick’ franchise, so he wants to put his time and energy into that. Stahelski, though, remains very excited about shooting television. “Granted, they’re the biggest budgeted show on TV right now, but could we do something interesting with ‘John Wick’ with what we have? Yeah. I’d like to give it a go and prove to the TV world that you can have feature action on a TV show. It would be a nice little feather in my cap, sure,” he said. “John Wick: Chapter 2” is now available on Digital HD, 4K, Blu-ray, and DVD.